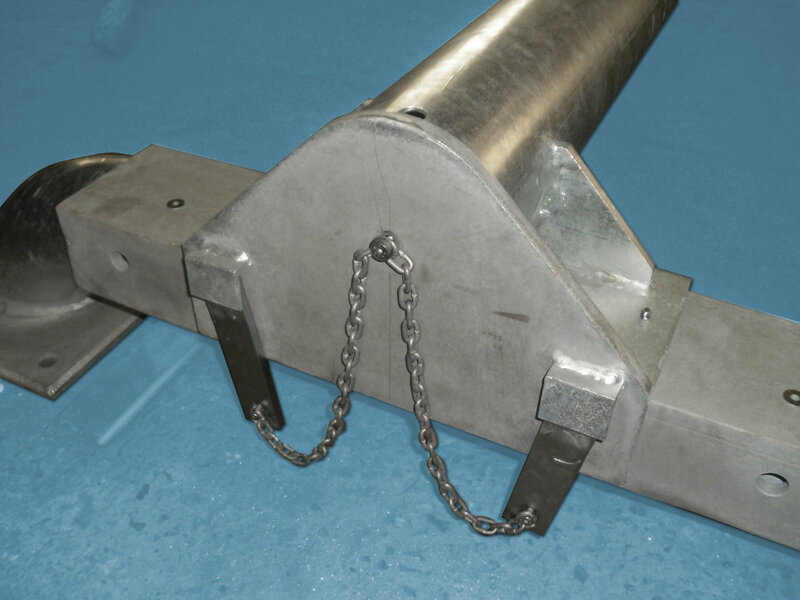 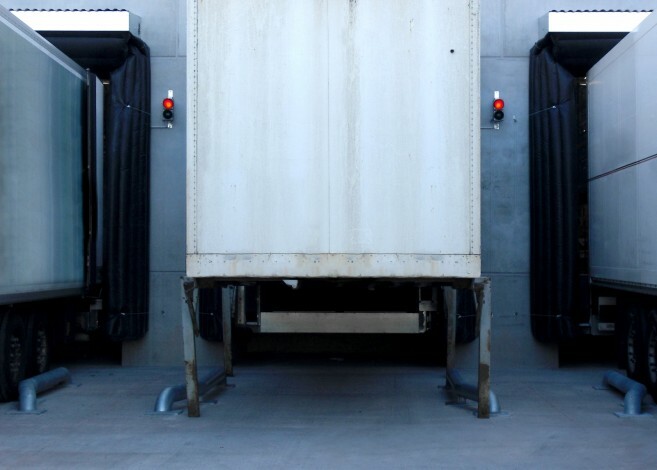 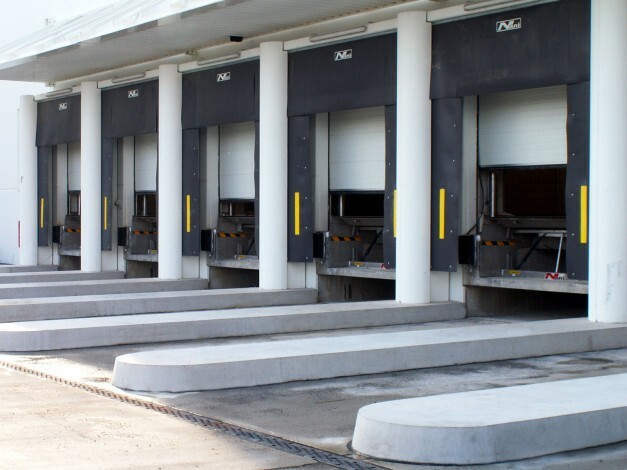 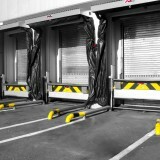 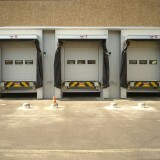 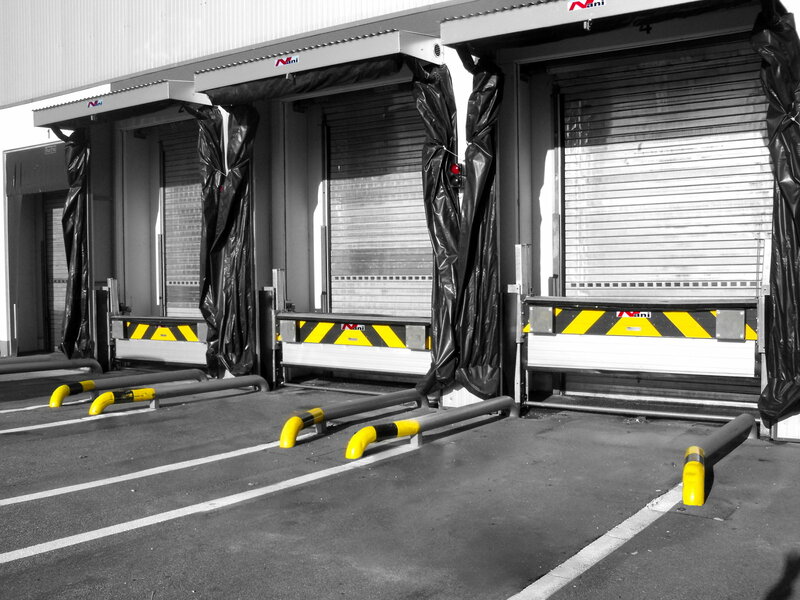 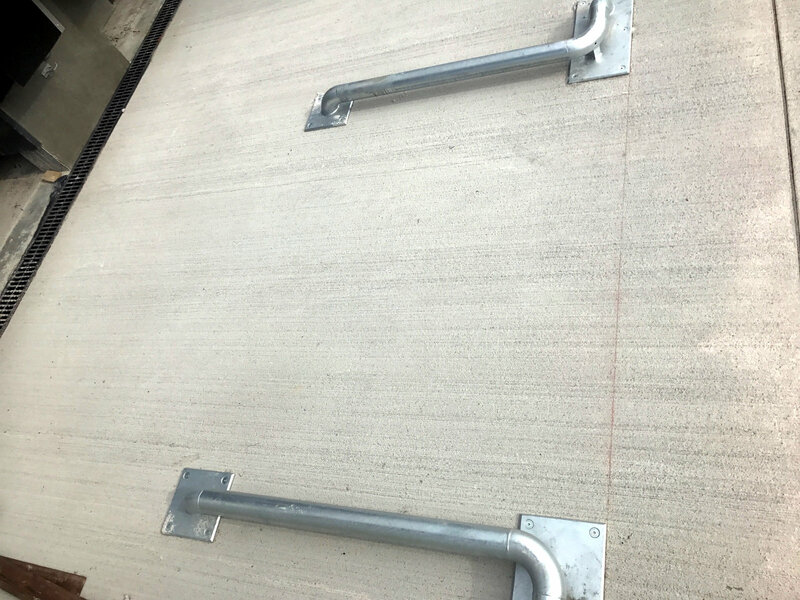 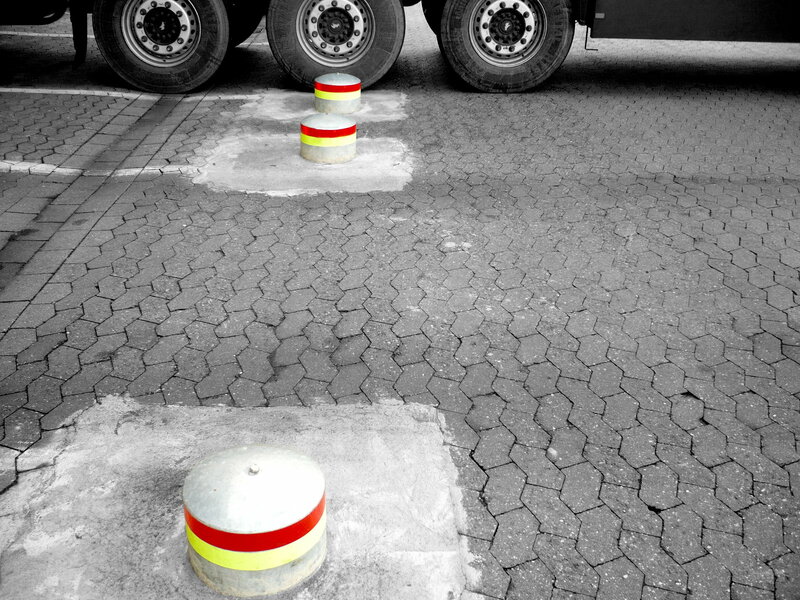 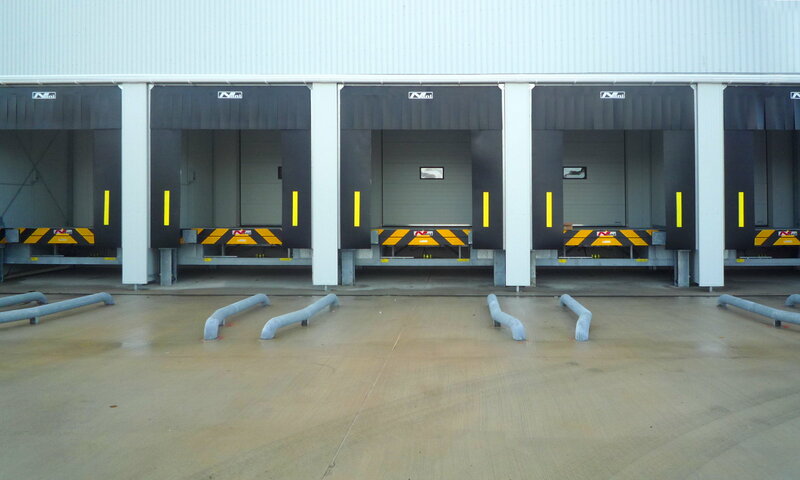 The Nani Vehicle Wheel Guides are the ideal addition for every loading dock. 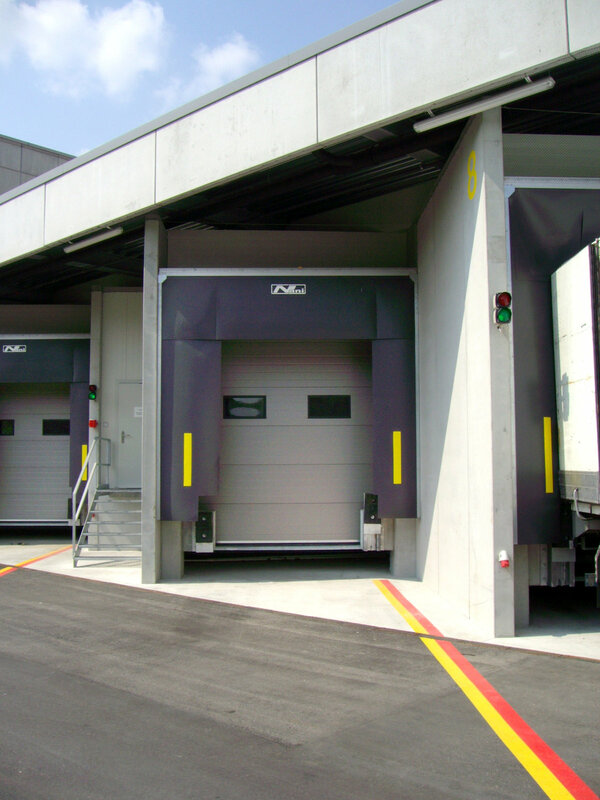 They lead the truck centrally to the loading ramp. 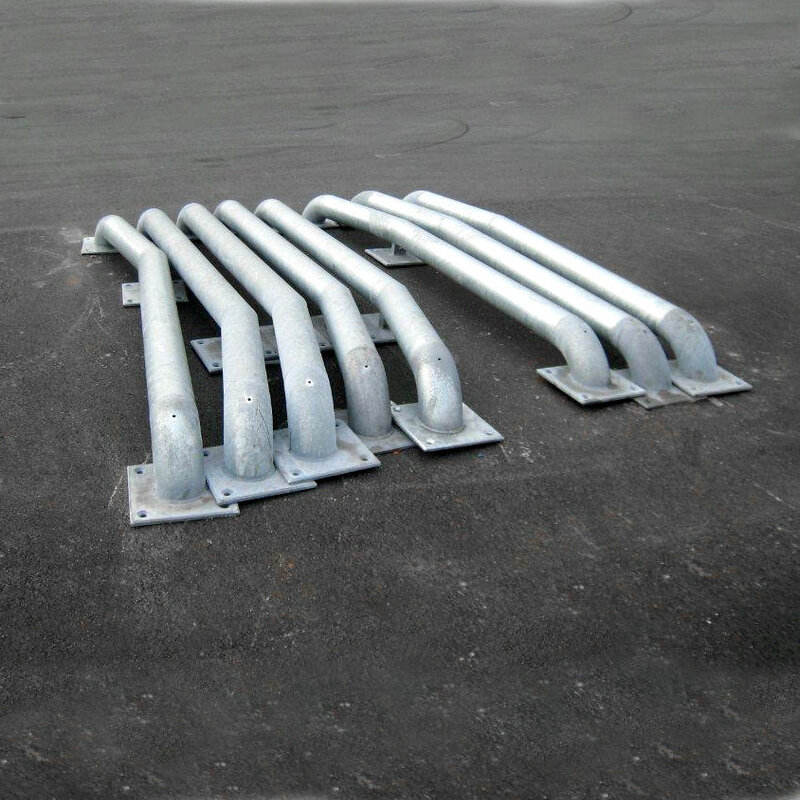 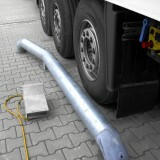 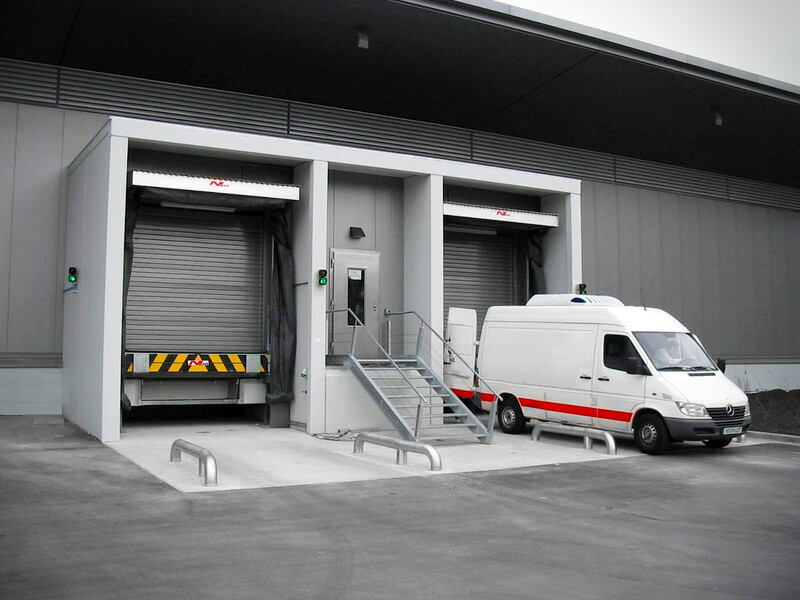 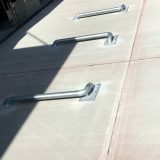 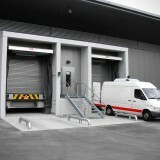 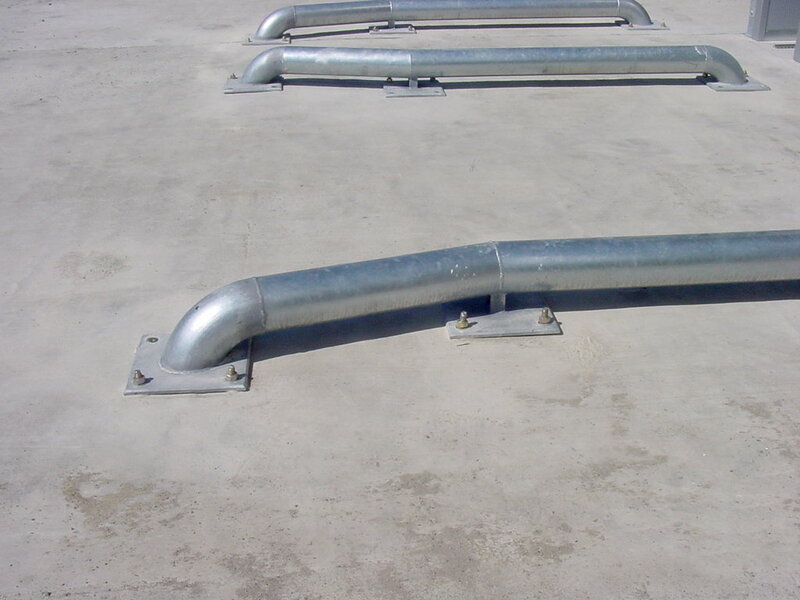 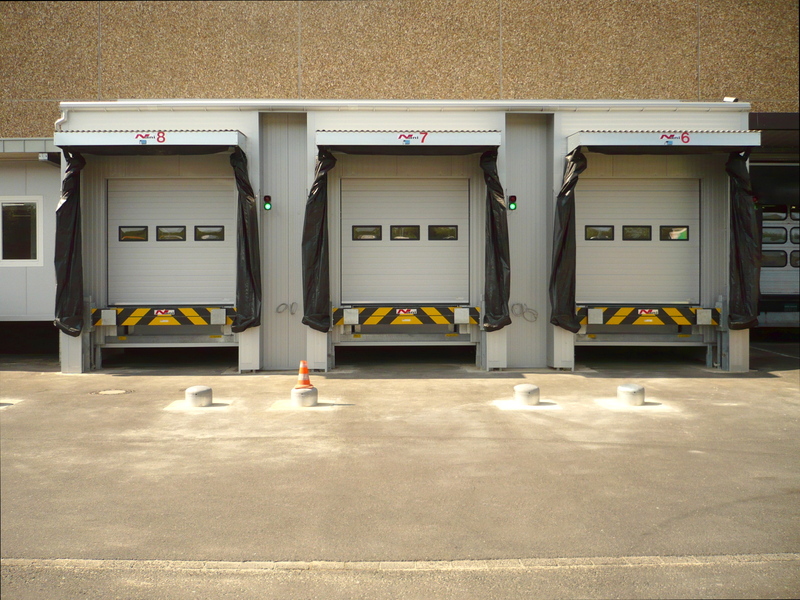 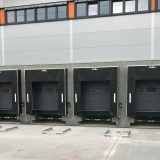 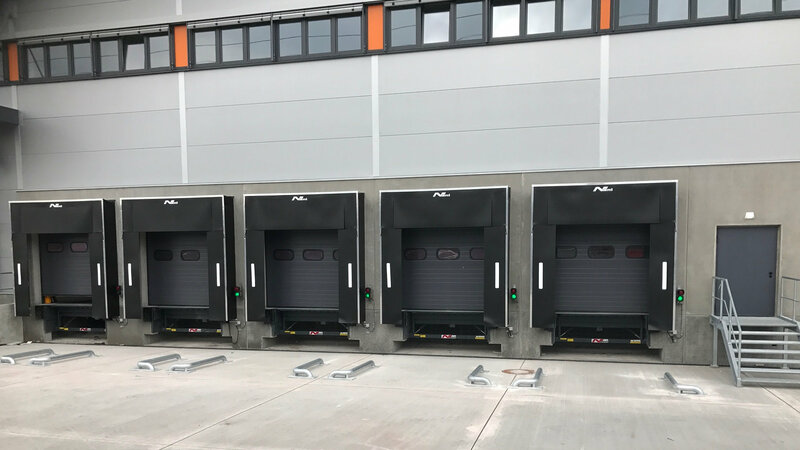 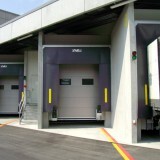 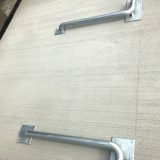 Costly damages of the building facade, loading ramp or the dockshelter through the docking trucks are almost impossible. 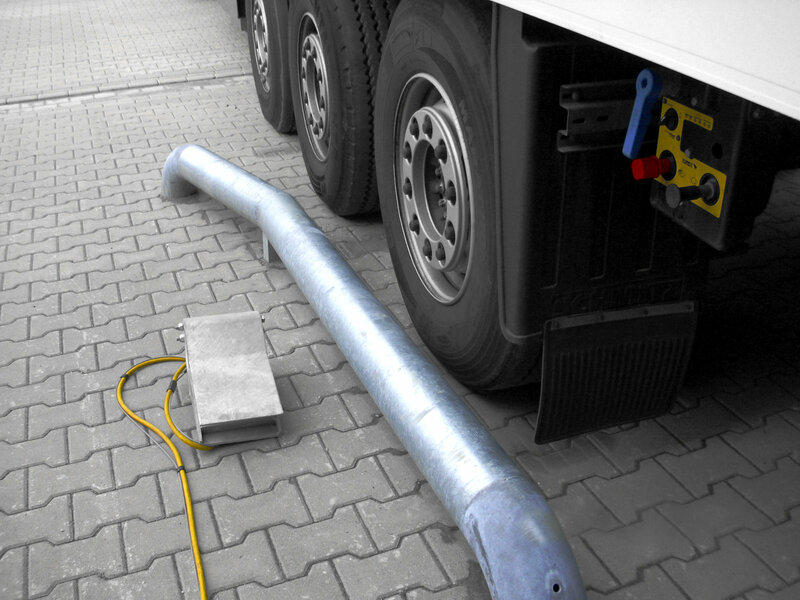 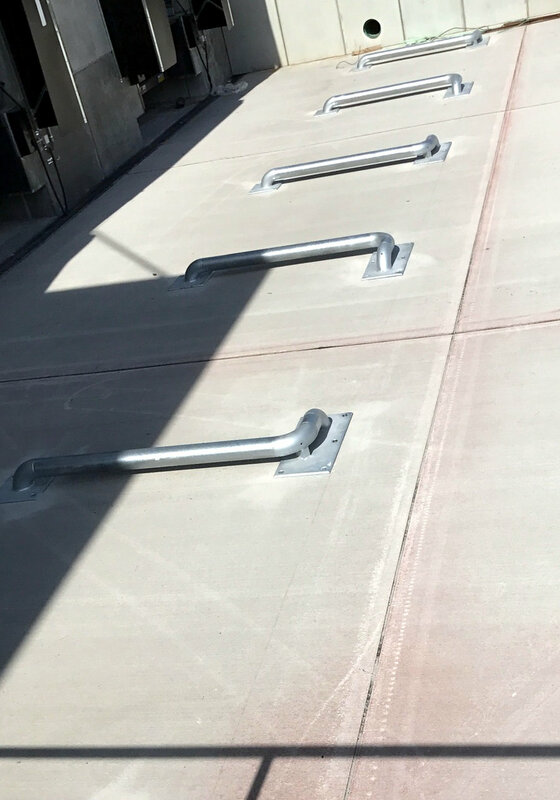 The installation of Wheel Guides is recommended especially if you have narrow loading situations with little space for maneuvering and if the truck driver has no orientation points during docking. 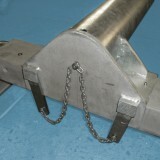 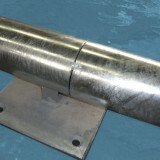 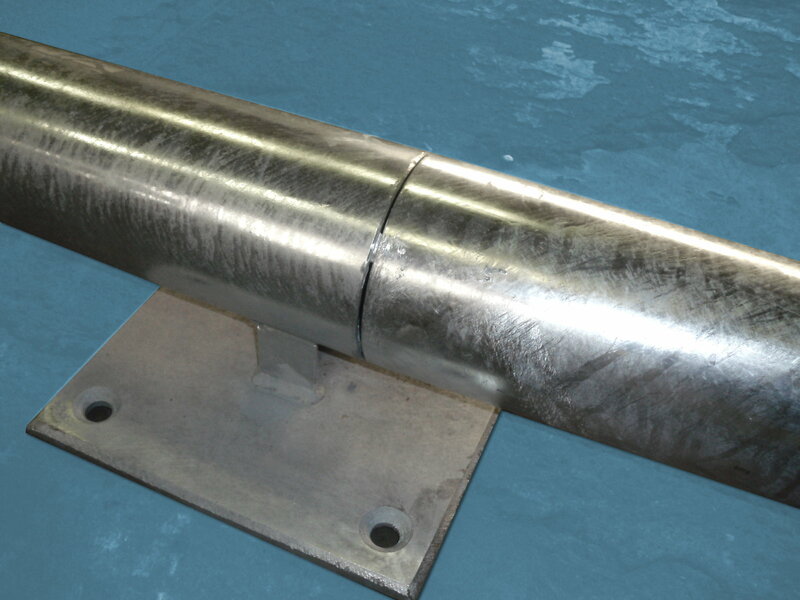 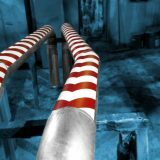 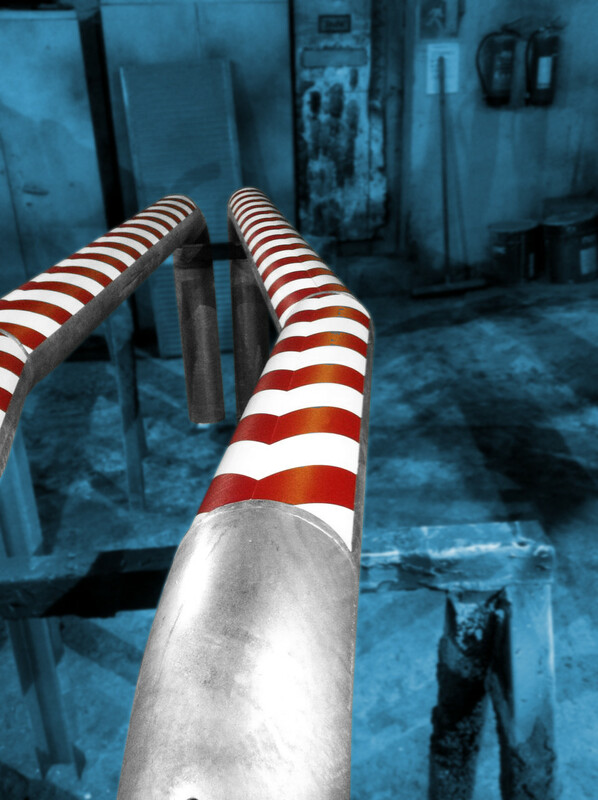 The design is made of an angled steel tube with a diameter of 160 mm, which is being put into the concrete yard. 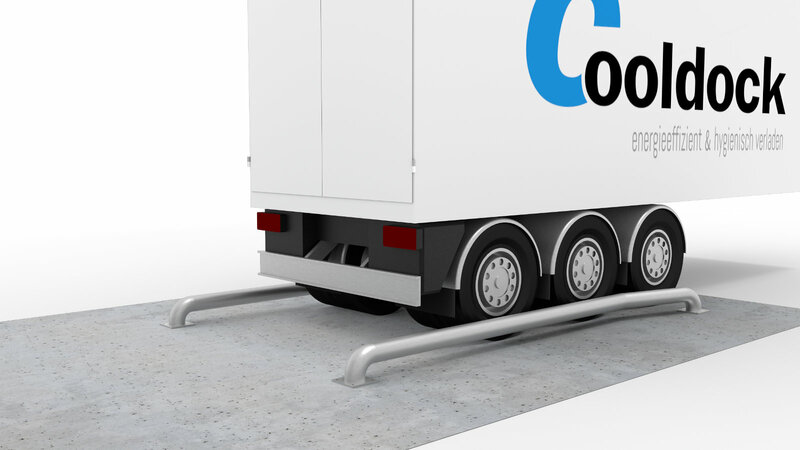 The smooth surface does not pose any threat to the tires and rims of trucks. 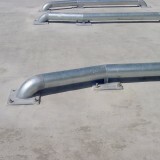 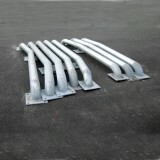 Hot dip galvanized. 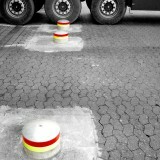 Warning-mark black-yellow on request.